In about 1990, I met some Cambodians who were in Villawood detention centre. They had arrived by boat and their cases were moving slowly through the Australian legal system. In May 1992, it was because of the Cambodians in court that Australia introduced mandatory immigration detention. The Cambodians were caught up in the politics of 'boat people' under a Keating Labor government. Then, Australia was part of the international negotiations to achieve a peaceful resolution of the war in Cambodia. Australia was not sympathetic to the plight of a small group of about 350 Cambodian asylum seekers when a UN lead force was to enter Cambodia to achieve peace. My first visit to Cambodia was soon after the UN had taken over and the mostly unpaved streets of Phnom Penh were busy with new white UN marked vehicles, and motorbikes. I visited the Tuol Sleng museum, which was a former school but used as a torture centre by the Khmer Rouge. I saw a map of Cambodia made of human skulls, and thousands of photos of the men, women and children who were later executed by the Khmer Rouge. I was able to visit the ancient monuments of Angkor Wat near Siem Reap. During that visit I was taken around on a motorbike by a Cambodian who advised me to be careful of landmines. We saw a de-mining team in operation in the area, and during the evening I remember hearing the sound of artillery fire in the distance, probably between the Cambodian government and Khmer Rouge forces. I have visited Cambodia again about five times since then, and each time noted the economic improvements and developments in Phnom Penh, but still there was great poverty, especially in the countryside. While there has been relative stability since the end of conflict, there really has been only one ruler — Hun Sen. Hun Sen joined the Khmer Rouge in the early 1970s and was wounded in the fighting to capture Phnom Penh in 1975. However he fled to Vietnam in 1977 when Pol Pot's forces turned against him, and then he was embedded in the Vietnamese forces that invaded Cambodia and took Phnom Penh in January 1979. The 'liberation' of Phnom Penh by the Vietnamese is still celebrated as a national holiday. Some Khmer have done very well since 1993, and now in Phnom Penh the new cars are owned by rich locals, or their children. These vehicles tend to be new SUVs, no UN markings but tinted windows instead. "This was the first, but not the last time Hun Sen was able to change the ground rules to his benefit and stare down any detractors." Since the early 1980s, Hun Sen has been the leader of Cambodia, and his party, the Cambodian People's Party (CPP) has ruled. The CPP was actually defeated in 1993 at the first democratically based (UN-organised) elections but Hun Sen insisted on a power-sharing arrangement with the winners, the royalist FUNCINPEC party. This was the first, but not the last time Hun Sen was able to change the ground rules to his benefit and stare down any detractors. There was a period of shared rule with FUNCINPEC but Hun Sen ended that with military force in 1997. It was in 1997 that I worked with some Cambodians doing their refugee cases. Australia has paid millions to support the government in Cambodia, and to try and support the development of democratic institutions. We even paid them $54 million to resettle refugees who arrived by boat and were sent to Nauru. Sadly, while there has been some economic growth and development, politics in Cambodia have returned to authoritarianism, under the rule of Hun Sen.
Now China is a major contributor to Cambodia's development, and the Chinese are not worried about tying aid to human rights improvements. This suits Hun Sen, and in November 2017, he had the major Cambodian opposition party, the Cambodian National Rescue Party, dissolved. Its leader, Kem Sohka, was arrested and charged with plotting to overthrow the government with US support! Then a popular English language newspaper, the Cambodia Daily, was closed. Another English paper, the Phnom Penh Post, was taken over by a Malaysian company, and seems less interested in promoting human rights as before. Journalists, opposition politicians and dissenting voices are being shut down, arrested and silenced. Supporters of Hun Sen and the CPP are able to take over land and evict local people without proper compensation. Protesters are arrested and jailed. Other threats were also made against the protestors on social media, and some told me that they saw people taking their photos at demonstrations in Sydney and Melbourne. It is unlikely they were being photographed for positive reasons. I thought of the thousands of photos taken of Khmer and now in Tuol Sleng before they were brutally executed by the Khmer Rouge. On 29 July Hun Sen had an easy election victory. The opposition had been banned and imprisoned. Independent newspapers were closed or bought up. There was no real opposition. Even some of the Khmer Rouge language was used when Hun Sen stated in the run up to the election that he would 'smash' and eradicate his opponents. The Cambodian word translated as 'smash' was the same word used by the Khmer Rouge as a euphemism for 'kill' or 'exterminate'. Under Pol Pot, the educated were brutally slaughtered and the few who survived were traumatised by their experiences. Since 1979 a new generation has grown up, and learnt that ruthless autocratic rule can be opposed. 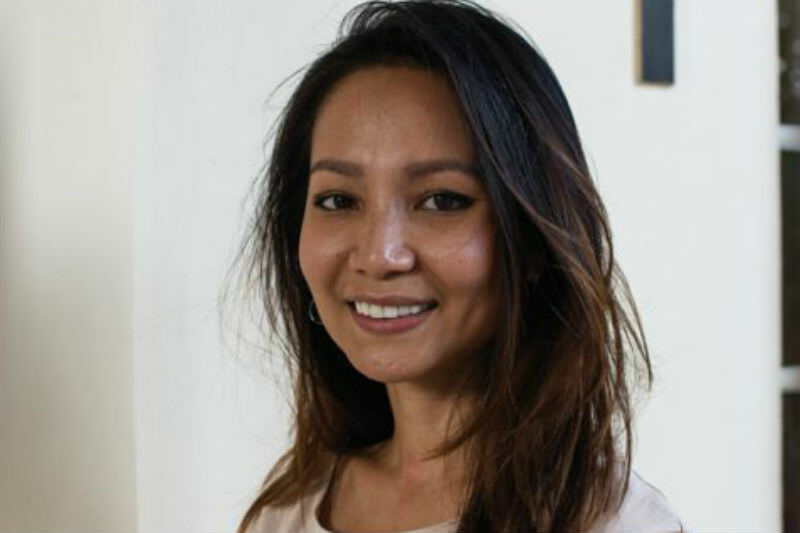 Monovithya Kem (pictured), the daughter of imprisoned opposition leader Kem Sokha, spoke in Australia recently about how Australia needs to impose travel bans and asset freezes on the supporters of Hun Sen. She even said that while she faces arrest if she returns to Cambodia, sadly she felt unsafe in Melbourne due to the 'mafia hub' of supporters of the regime who make threats against Cambodian Australians, and try to intimidate Cambodian students in Australia. Hopefully Australia will take stronger measures against what is effectively a one party state that ruthlessly crushes opposition at home and seeks to intimidate and threaten critics abroad. It is not surprising that after 25 years, I am again seeing Cambodian asylum seekers. However this time there are many supporters of a better and democratic Cambodia in the diaspora who are taking their messages of human rights abuses directly to the governments that helped establish modern Cambodia back in 1993. We can only hope that despite the entrenched regime, change will occur. But how long will this take? Main image: Monovithya Kem, the daughter of imprisoned opposition leader Kem Sokha. Thanks for this ‘background briefing’ Kerry. Pol Pot’s ruthless, scorched earth policies have given ‘permission’ for the next generation to behave in the same authoritarian manner. How brave are those supporters of a better Cambodia. What a haunting piece to be reminded of not so distant history and current state of play in Cambodia. I have revisited this article again as I feel chilled by the conviction of journalist James Ricketson for 6 years under this regime. What can we do to ensure he is released?